On September 18, 2018, at the Engage Toronto Office, the Engage Toronto Research Coordinator and HIV Prevention Lab Manager drew the winning ticket for the third $250 Best Buy gift card draw. 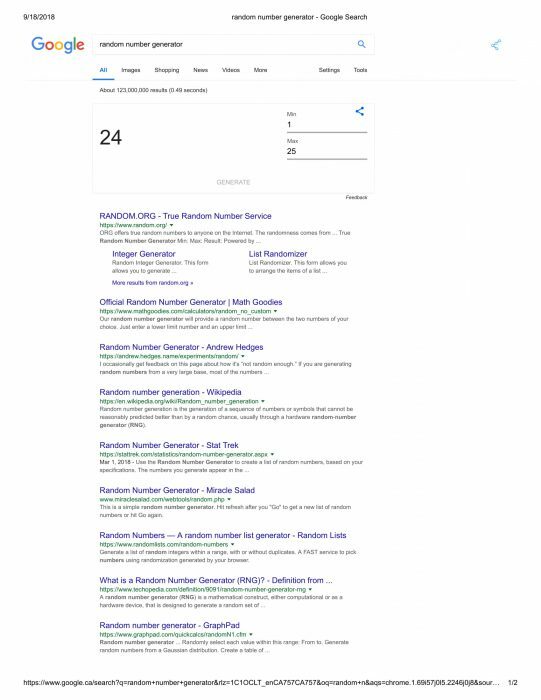 The winning ticket was ticket #24 and was drawn using Google’s random number generator (see image below). Congratulations to the winner of our third $250 Best Buy gift card draw! If you want to be our next winner, keep an eye out for an Engage recruitment voucher, and be sure to redeem it if you get one!